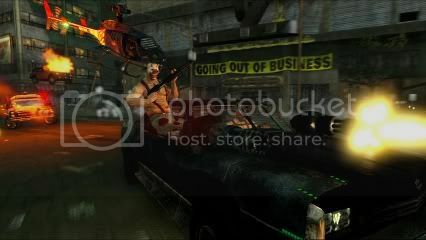 David Jaffe confirmed via Twitter that Twisted Metal will now be released in Europe on March 7, following Sony Computer Entertainment Europe’s decision to cut graphic content from copies of the game destined for our shores. It was confirmed last week that SCEE territories would see a delay due to localisation issues with the game. However, the Eat Sleep Play boss was quick to reassure fans via a post on NeoGaf that cut content will not affect story or gameplay and just tones down the gorier details. It still sound joyously messed up and brilliant to us, we just have to wait until March 7 to enjoy it. Those in the US are completely unaffected by the changes and will be able to play the full game next week on February 14. If you are struggling to wait for the game’s release you can check out the demo available on PSN to get your vehicular carnage fix.